I grew up with the handiest dad in the entire neighborhood. When I was a kid, it felt like every six months there was a different room getting a facelift, ranging from completely renovating the kitchen to turning a small attic into our playroom. This mentality rubbed off on me. Today, I’ve not only made improvements to my own home, but I’ve even taken on a few house flips in my spare time. However, the time and labor that goes into these projects shouldn’t be underestimated. My dad made it look easy, but there are always curve balls. For my past two house flips, I purchased bank-owned foreclosures. I found this process much easier than most people think, and it also typically leaves a nice cushion in your budget to invest in the renovation. However, after renovating these homes, I was left with less of a profit than I initially calculated. This time around, I took a risk and bid on a home through a foreclosure auction. (The main difference between auction and bank-owned is that the homes at auction often are bid on sight unseen!) However, living in a rural part of New York, I have become familiar with the homes in the area and had a general sense of what I would be dealing with. After finalizing the deal, I drove to the location with my husband and two children to get an initial look at our new property. As soon as we arrived, I began to see the potential that this home had to offer. A beautiful paint-chipped, white ranch that was constructed in the early 1950s. Set back on about an acre of land, all I could think was how perfect this home would be for a family to live and grow, with plenty of space for children to roam freely and enough privacy while having a central location near to highways, plazas, and our neighborhood. We opened the front door to the main entrance with our fingers crossed, praying that the inside would be salvageable. Other than the extremely worn hardwood floors, everything was generally intact. Four bedrooms and two bathrooms, seemingly unscathed by the many cold winters that occurred over the years. Slight cracks ran the walls and almost everything was outdated, however, these changes would be minor, as I still wanted to ensure the home would maintain its timely character. On the surface, our initial evaluation of the purchase was going well, briefly discussing our plans as we moved room to room. However, our luck was about to change as we descended the rickety steps into the basement. As we entered the unfinished basement, nothing seemed out of the ordinary. It was a small space but could be used as an extra bedroom or guest room if it was finished. The drywall was cracked in multiple spots, exposing the insulation underneath. This initially concerned me, as given the age of the home I knew that the insulation could very well contain asbestos, a deadly carcinogen when exposed to humans. The basement was also very damp, which upon further inspection, it appeared that there was an abundance of mold along the ceiling. The basement needed much more than a cosmetic lift. Before we began any repairs, we had to have the home professionally inspected and tested, as we knew that the possibility of health risks was too high for us to begin renovating the basement. Unfortunately, it seemed that our fears became a reality. Not only was there asbestos-containing insulation in the basement, but it was in other areas of the house as well! 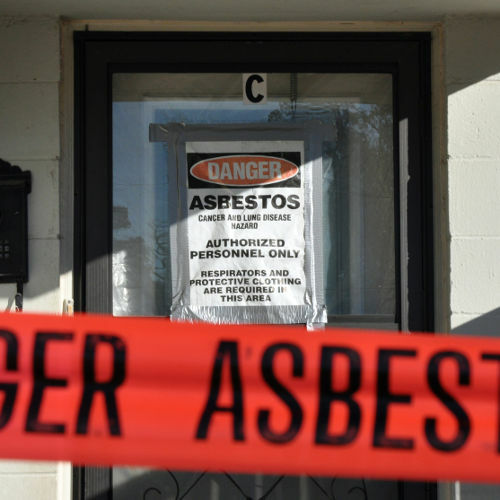 Flipping houses I’ve learned that asbestos was once a common additive in a variety of building materials, due to its unsurpassed resistance to heat. But asbestos was also found in our basement floor and ceiling tiles, somewhere I never expected a toxin to be present. While the mold was a quick fix for the abatement team, the insulation was the true task and a much larger undertaking. 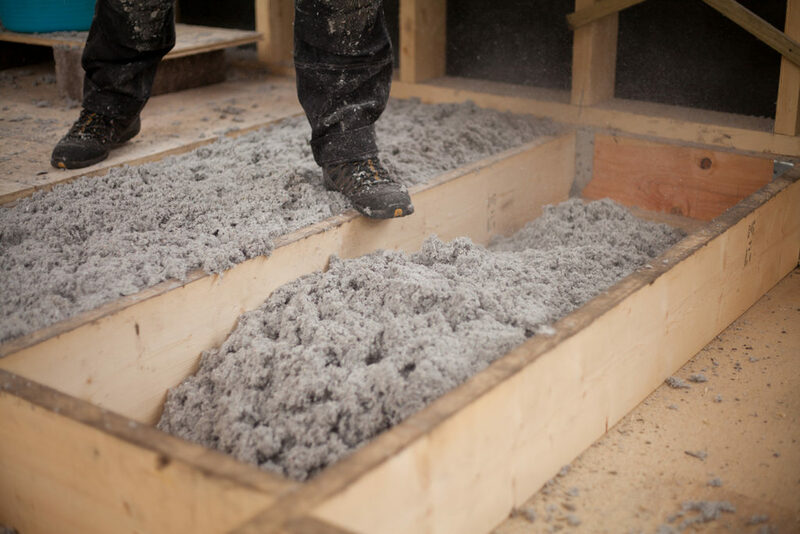 It took weeks for the insulation to be properly tested and eventually remediated. The time we could have spent renovating the home was used to break open a large percentage of the walls in the house by the remediation team and rid them of the dangerous material. Some spaces were left untouched, such as the attic, but this area was far too small for anyone to access. The whole time our insulation was being replaced, the only thoughts I had were, what if they missed an area? What if there were asbestos fibers floating around without my knowledge? It was scary to think that we bit off more than we could chew with this flip. However, tests came back and our home was cleared for the projects we had planned. This home taught me the biggest lesson of all, no matter how big or small your home improvement project may be, it’s important to get your home checked out before you begin. I’ve started doing this no matter what the quality of the house is. With the bank-owned foreclosures, I was able to get an inspection done before the purchase. But with this most recent flip, I’m glad I had this done prior to breaking down any walls. 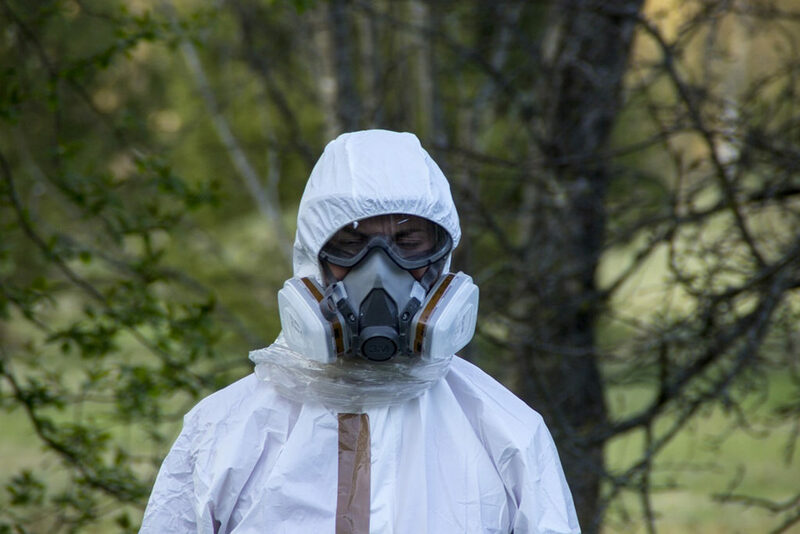 The risks I could have put myself and my family in put a pit in my stomach, and it’s unfortunate that many of those who do these projects on their own unknowingly expose themselves to dangerous toxins. If you do decide to renovate your home by yourself, have it tested for all toxins. And if you can’t complete the project on your own, consult a professional who can assist. Trust me. Gina Wheeler is a content creator and freelance writer from New York. Beyond her obsession with interior design and home updating, Gina has a passion for the mind, body, and health excellence. Gina enjoys learning about the intricacies of the body including exercise, nutrition, and preventative care. I‘m a single mom, so you might say I’m a little overprotective of my daughter—who isn’t? My daughter and I are a dynamic duo. When it was time for us to pack up our stuff and journey across the city, my overprotectiveness made sure our new home was safe for the one thing in my life I couldn’t possibly live without: my little girl. I also happen to live in New York City. And like many families here and other metropolitan areas, we’re your average apartment dwellers. Guess what? Especially here on the east coast, apartment buildings are often old, which set off my mom alarms when I was looking for a new place. What I already knew to do was be vigilant about paint chips. But after a scare that led me to do more research, I found out there was so much more than lead paint to worry about. I want to share what I learned so other families can be safer when they move. Have you heard of asbestos? I had heard of it before but never understood what it really was until I was told that the material was actually in my new apartment. Through my ordeal with the removal process, I learned that this toxin is the only known cause of a rare form of cancer called mesothelioma. Wow! Getting cancer from the one place meant to keep you safe? Though when I say you need to, I mean just that. 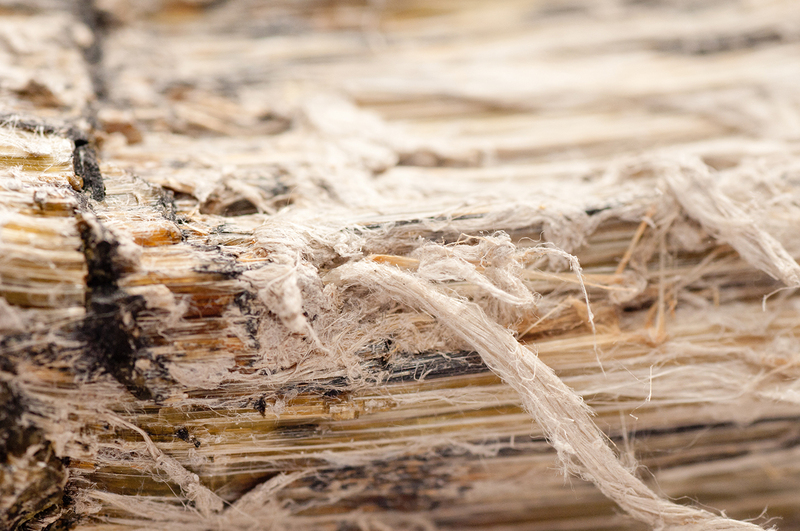 If your home or apartment building was built between 1930 and 1980, it may have asbestos in it. The initial cost may seem like a heavy burden now, but in the long run, will prevent an unnecessary battle with cancer. Get that stuff far, far away from your loved ones! So you’ve checked for asbestos. Now onto radon, another sneaky toxin. Radon is an invisible, odorless, and tasteless gas. According to the Environmental Protection Agency (EPA), as many as 8 million homes throughout the county have elevated radon levels. That is problematic because the gas is the second leading cause of lung cancer. Radon leaches from the soil and into the home where it can collect. There is the highest risk of elevated radon levels in the basements or lowest levels of buildings. The only way to know if you have elevated radon levels is to test your home. There are two different forms of testing: short and long-term detectors. Short-term detectors measure radon levels for two to 90 days. The long-term tests determine the average radon concentration for more than 90 days. Long-term detectors are more accurate, as radon levels change constantly. 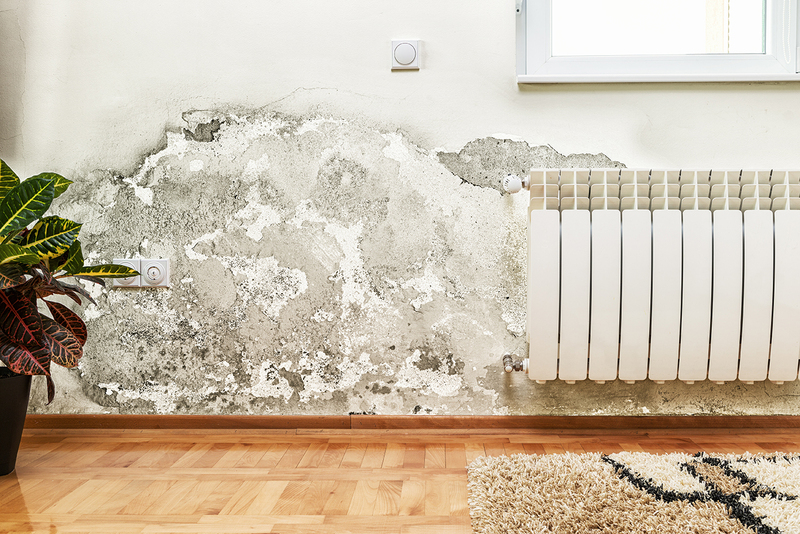 Unfortunately, mold does not discriminate against any homes or apartments—you lucky ones with brand spanking new homes may still fall prey to mold growth. Thankfully, it’s pretty simple to remove! Mold growth can be removed from hard surfaces with commercial products, soap and water, or a bleach solution of no more than one cup of household laundry bleach in one gallon of water. 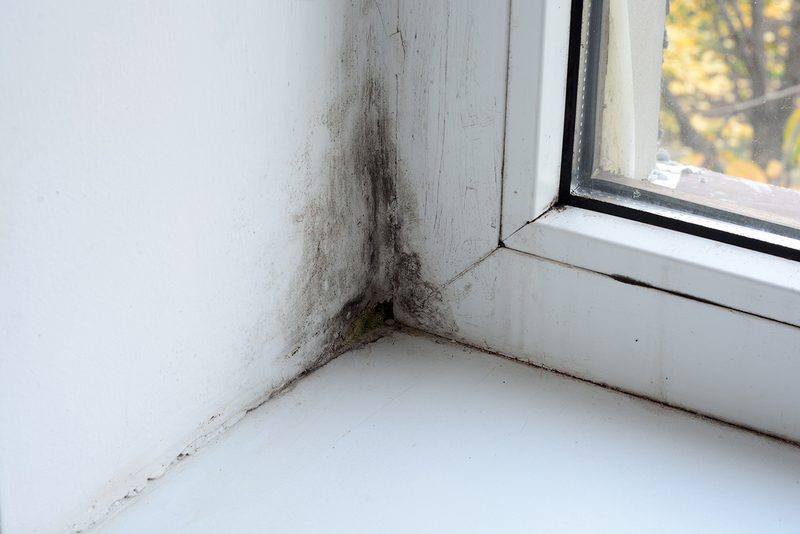 To prevent further mold growth, ensure that humidity levels in your space are low. An air conditioner or dehumidifier can help to dry that air out! Cleaning bathrooms with mold killing products will also ensure no little spores have time to flourish. Also, make sure to consider your vents. Keeping household vents open will allow for proper circulation to keep mold at bay. Lastly, it’s still important to be on the lookout for lead-based paints. Bad paint was at the forefront of my mind with a little “ankle biter” in tow when I looked at prospective apartments. Lead is particularly dangerous for kids because, if you weren’t aware, just about everything goes into their mouths, including paint chips. For kids, lead exposure can result in behavior and learning problems, slowed growth and lower IQ. 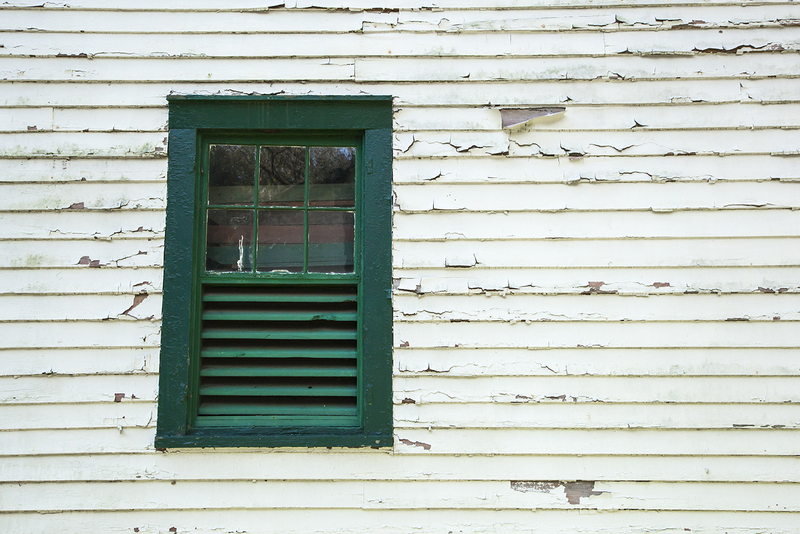 Again, older homes and apartments have a higher incidence of lead paint—those built before 1940 have an 87 percent chance that they contain lead paint. If the lead paint is in good shape, there is little to no risk. but if the paint is chipping, peeling or cracking, it’s time to get it removed. It’s important to have your homes inspected for lead-based paint. Don’t be shy about bringing it up to a landlord, even if you’re already moved in! A basic risk assessment will inform you about any lead-based paint present in the space and how to mitigate the risks. As a young professional making my way on my own I was confident that I was smart enough to know what to look for when apartment hunting. It turns out I wasn’t smart enough without additional research. But hopefully, through the tips and tricks I’ve mentioned, you can be sure to save yourself from some headaches (and heartaches) and prevent you and your little bundles of joy from exposure to toxins. Tonya is a single mother and blogger raising her daughter in NYC. She has a newfound passion for health after journeying into motherhood and hopes to share her knowledge with those around her. In addition to writing, she enjoys going to the park with her daughter and cozying up with a good book. 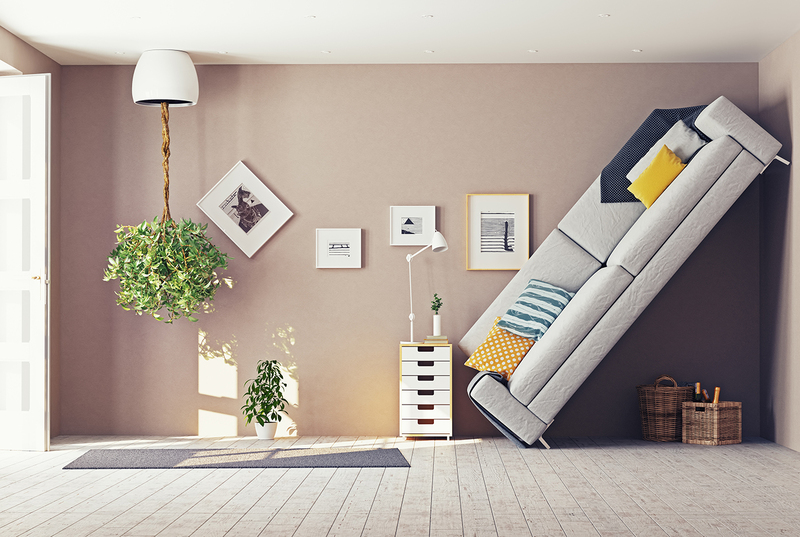 We’ve talked before about things you should overlook when house hunting, but being flexible and seeing past a home’s imperfections isn’t always the thing to do. Don’t get us wrong, there are a lot of things that should be overlooked because they can easily be changed down the road. However, some things should never be overlooked. We like to call them “deal breakers”. Making a list of your deal breakers is essential to finding the perfect home for now and well into the future. That’s why the things on this list should be non-negotiable. Seriously, don’t get emotionally attached to something that will create resentment down the road. Ultimately, it’s up to you and your family to create your own list of deal breakers before your house hunting adventure begins, but we’ve compiled a list of the most important ones in order for you to jump-start the process! A lot of household problems can be fixed, but being subject to water damage is one that is not even close to an easy fit. Before committing to a house, be sure to research if it’s in a flood zone. (FEMA has a handy website that can search all flood areas by address.) Also, take notice of its elevation on the block compared to other homes. Is this house at the lowest point on the street? Will your basement constantly be at risk of flooding and causing you large problems and even larger repair bills? Make sure you look very closely for any signs of water damage. Do your research so that you know exactly what you are getting into, and are not surprised by a flooded basement after the first rain in your new home. Check the links for helpful ways to test for common safety concerns. Before you buy any house, let alone a suspect one, make sure to hire an inspector. If they report any problems, know exactly what issues result in you walking away from the deal and which ones you are willing to deal with (and potentially pay for!). Having this information clear before the home buying process will allow you to remain objective during this emotional time. If you have kids, be sure to investigate the local school district before you buy a home in that district. Niche.com provides a comprehensive look at most every school system in the country, including elementary, middle and high schools. You can also look at schools individually! Even if you don’t have kids, we still encourage you to do the same because that school district will impact the resale value of your home in the long run and should be considered before you purchase. 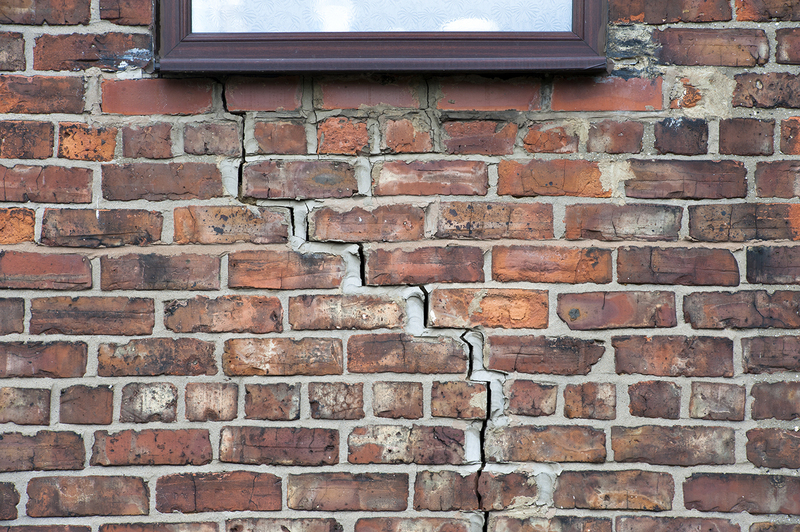 Structural damage in a home can cause some serious problems down the road, not to mention what a nightmare it would be to try to re-sell a home that has these large issues. It’s important to consider this when house hunting in order to avoid large project costs down the road. 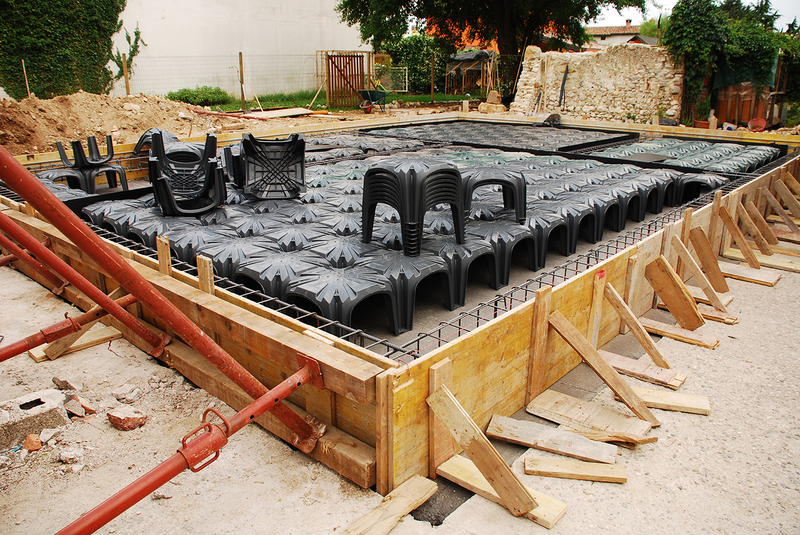 Look for shifting of the home in cracks, uneven floors or a drooping roof to identify potential structural damage. If you’re not sure, don’t be afraid to Google a contractor or professional so they can assess the situation and reassure you the house is a safe long-term investment. Unless you are buying a foreclosure for pennies on the dollar, structural damage is certain to massively impact your investment in a negative way. All rooms can be rearranged, redecorated, repainted or even switched around, depending on your family’s needs. However, don’t trick yourself: a sweet overlook may be cool, but the layout of the home or the square footage of the home is not so easily changed, especially without a massive budget and an extra-large construction project. Are you looking to double your investment by knocking out walls? 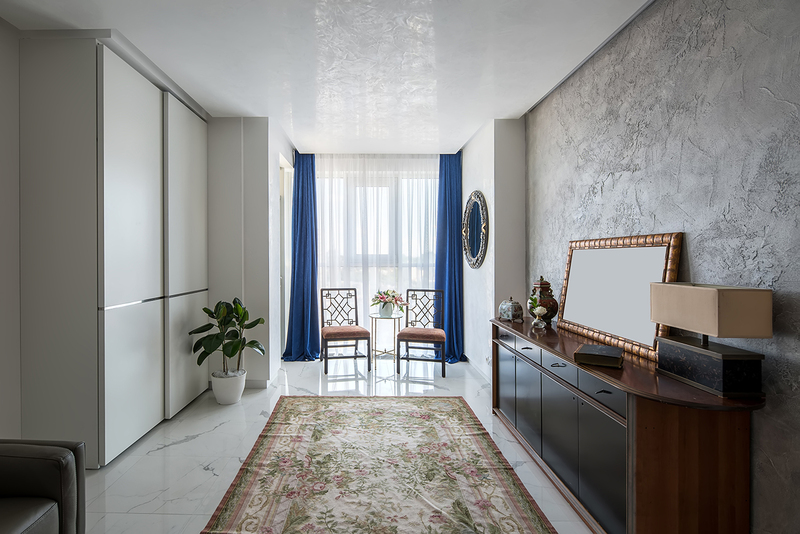 It’s okay to look past the cosmetic upgrades in a home, but don’t look past what the pros call “the bones” of the house: the layout, the number of rooms, the number of bathrooms or again, even simply the square footage. The bones are permanent and will directly impact your lifestyle. Are you willing to change your life just for that sweet view? Buying a home out of your price range is a slippery slope and a financial decision that can put a lot of stress and pressure on you and your family. It is also the most common deal breaker people ignore! If you have a strict budget you need to follow, adding this deal breaker to your house hunting checklist will be a great way to “check yourself” and make sure that you are coming in under budget and not putting an unnecessary strain on you, your marriage, or your family. Besides, it is almost always better to invest in a cheaper property than to live with what you cannot afford. What’s on Your House Hunting Deal Breaker Checklist? All of these may fall on your house hunting deal breaker checklist, or maybe some of them… or maybe none at all. Technically, the most important thing is shedding light on the fact that people don’t often consider deal breakers ahead of hunting for a house. That’s why a house hunting checklist is crucial to avoid getting emotionally invested and making an impulsive decision that you’ll regret later on. Remember the biggest rule: once you agree on which deal breakers gets added to the checklist, you cannot purchase any home that has even one of the things on it, regardless of how adorable it may look! 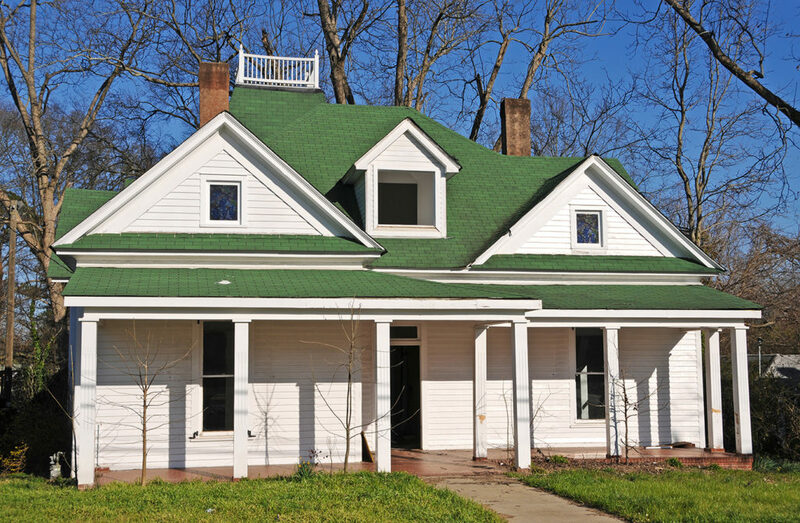 This cute house may look great now, but it probably isn’t the best investment for the long run. Hold strong, the right one will come along… it always does!